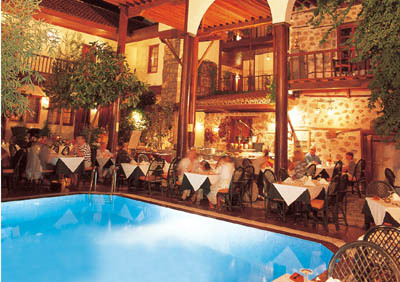 Situated in Antalya, right in the Old Town city centre and 15 km to the airport. 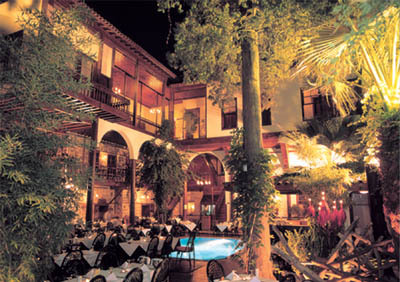 Wonderful location of the hotel and architecture of the ancient Mediterranean style. You will enjoy your meal in a unique historical and nostalgic environment, with three days a week live piano music. 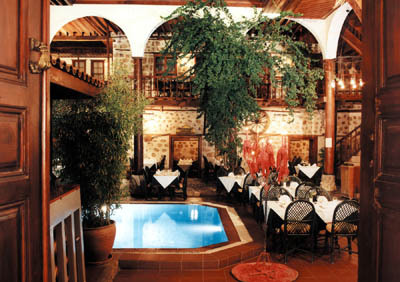 Alp Paşa restaurant consist an antique covered restaurant with fireplaces, garden restaurant with candle light, a swimmingpool with jacuzzi and Mahzen (cellar) bar,Turkish and international cousine, A la Carte Restaurant,Turkish Bath,massage,Turkish cultural activities,breakfast buffet and open buffet with Turkish cuisine. Total capacity 150 pax. Total 62 rooms, 8 suits, 42 rooms with jacuzzi,4 special rooms(family , honeymoon). 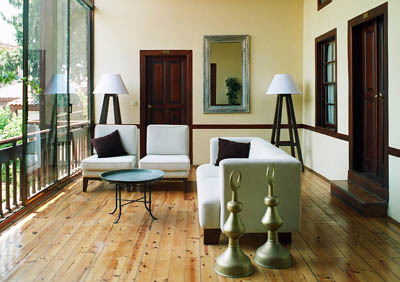 Air conditioning,safe at rooms and at reception,mini bar and satellite tv. oom service,24 hours available.Wake up calls,post, daily towel change and loundry. Nearby the hotel you can find the small "Mermerli-beach". 3 km to the west of Antalya is the "Konyaaltı beach”. This wide pebble beach is best reached by the tram or the "dolmus". "Lara" with many sandy beaches is 8 km east of the city. These beaches are ideal for small children.Sun beds and parasols may be rented on all beaches.